c1900 US Indian Head UST Liberty Br. medal ? See scan - very good condition. 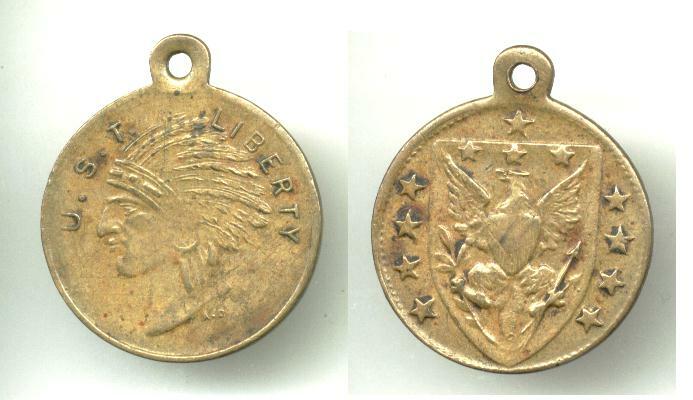 This is a nice USA / American bronze medal most likely from around 1900-1908 with obverse having the Indian head as in US coins and with text around it U.S.T. LIBERTY and reverse is the US eagle crest with 12 stars. Diameter of the piece is 24mm and is unknown to us. Nice military / militaria collector piece and one of the nice commemorative US medals. 1908 Austria Royal 50 yr. King Joseph medal !